It turns out I am not supposed to have things featured on Etsy which are already in a store. 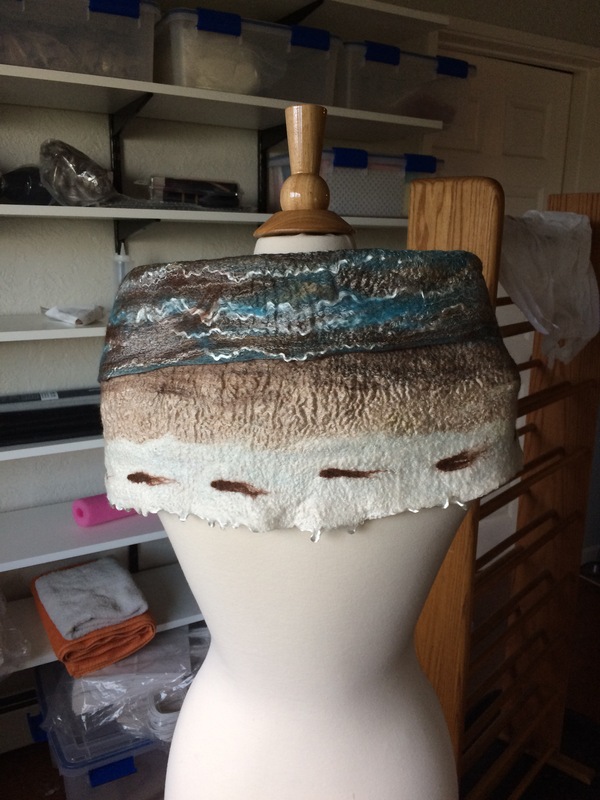 I can rotate things out of the store and onto Etsy, but not have them in both places at once. Also, the appropriate etiquette is to price things similarly on my Etsy store as they are priced in the retail stores so as not to undercut the retailers carrying my goods. That makes sense I suppose. There is more work to putting things on Etsy too, rather than just handing them to my sis to set up in her store. So there is some time involved that I would get paid for this way. 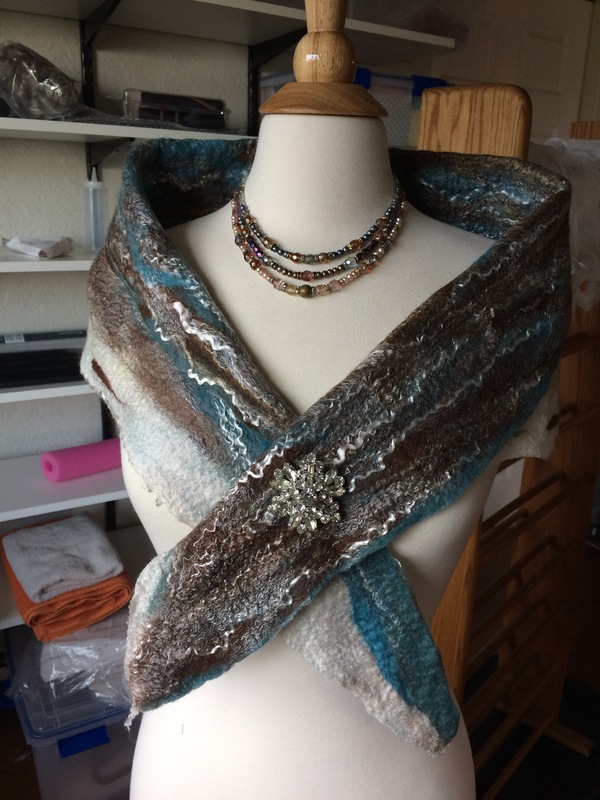 I still have workshops, though, where people can learn to make their own custom made scarves for a very reasonable fee, so that’s great; or even come over and together we will custom make something for the cost of a workshop. That would be fun too. There are lots of ways to make things work! I do have a workshop coming up on December 8th, from 11am to 6pm, which has an opening if someone would like to register for it. Email me at micheleballantynedesigns@gmail.com to register. So this is the only item I have on Etsy right now, because it is not in the store yet. It will be soon, though, if someone doesn’t buy it from me first, either through Etsy, or directly if you live here and know me. My Etsy Shop is Up and Running! . . . Wait . 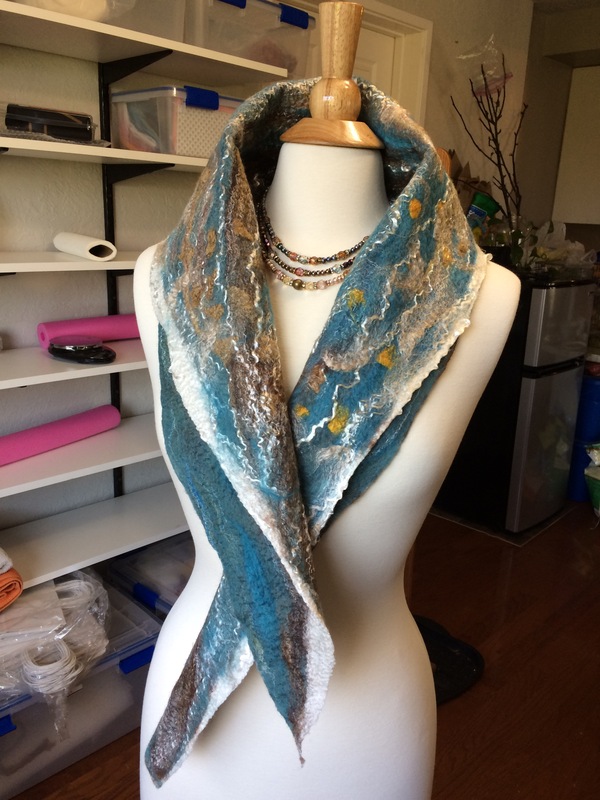 . . Never mind, I just had to take everything off because I learned I cannot have items here and also at the Arts Center in Corvallis! 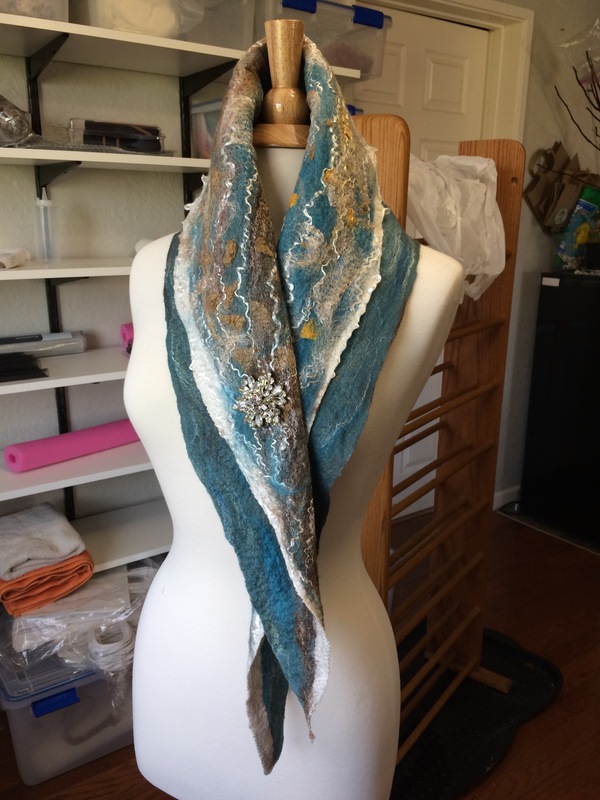 But I did sell my first scarf there for $150. It was the winter colors one. Yay!!! CLICK HERE FOR MY ETSY SHOP! 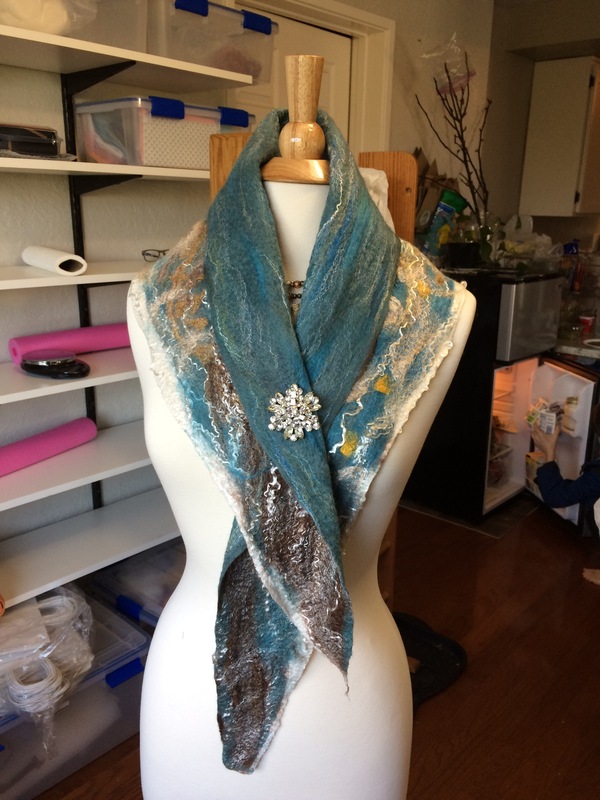 The scarves I’ve been showing here are now on Etsy as well as at the Corvallis Art’s Center. I can sell them less expensively online because Etsy does not take half like the Art’s Center does. 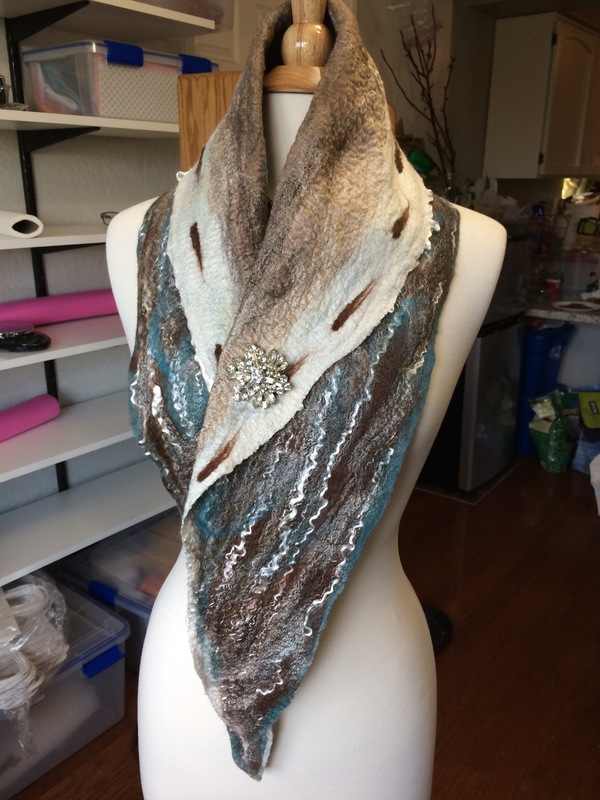 If you are interested, you can visit Etsy by clicking HERE. 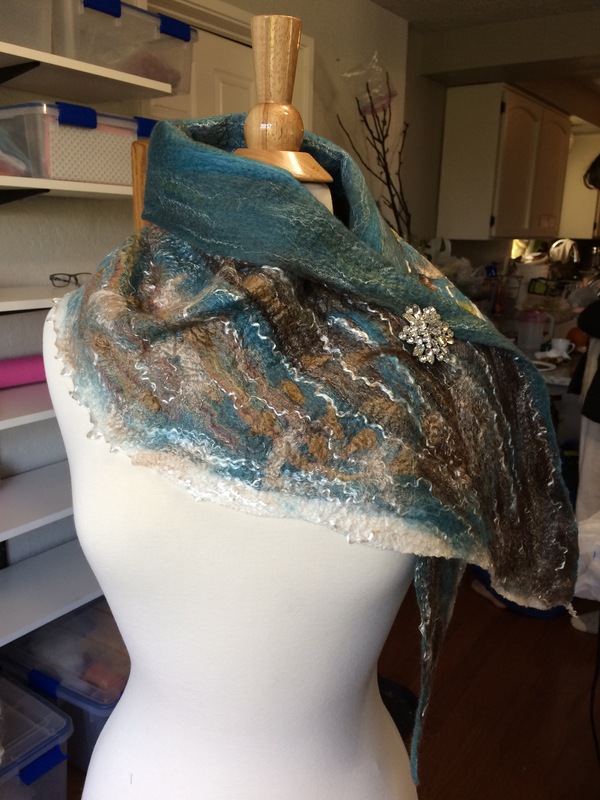 The three scarves I made are priced at $95.00 on Etsy instead of $180.00. More coming as I get them posted . . .